Brave East Lancs Cancer Battler Sam Shaw on Cloud Nine after Helicopter Ride! The five-year-old from Hoddlesden was given a special trip in a helicopter courtesy of a generous local businessman, Steve Hartley. 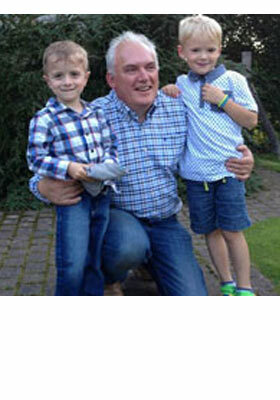 It comes as Sam's life has returned to some normality following a long battle against neuroblastoma. A public appeal with donations coming from across East Lancashire and beyond helped fund £250,000 immunotherapy treatment in America. Earlier this year, the St Paul's Primary School pupil was given the all clear, much to the delight of parents Christine and Carl, of Glencoe Avenue. Last week Steve Hartley, boss of Darwen metal fabrication firm WEC, took Sam and his new friend Sam Lomax for a ride in his personal helicopter. Mum Christine said: "Twelve months before, Sam was three weeks into an eight-week hospital admission where he was in complete isolation. He was unable to eat or drink, was vomiting hourly, and losing weight fast and was in agony from the gruelling high-dose chemotherapy. "It was at this time that Sam, who has a keen interest in all modes of transport, decided he wanted to have a ride in a variety of different vehicles. "We tried to keep his spirits alive by doing a wish list, including some things that were very simple such as seeing his grandads again, going home and sleeping in his own bed, to more ambitious things like like sitting in every kid of vehicle he could think of. 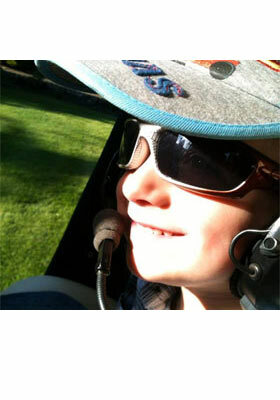 "Thankfully, Steve Hartley helped grant the wish for Sam to fly in a helicopter giving Sam a truly amazing experience on such a beautiful, sunny, clear evening. Sam had asked if his new friend from school could join him on the helicopter and Steve very kindly allowed Sam's friend, me and nana to join him on the most incredible helicopter experience. "We are always astounded by people's generosity and support so once again a heartfelt thanks for putting a smile on our brave little boy's face." Mr Hartley, who flies the helicopter himself, said: "He brought a little friend and his mum and grandma came along and it put a big smile on his face. It was a fantastic evening and he really enjoyed it."